* The Dezigner 4 zippered compartments, a Velcro style pocket for cell phone or iPod, or business cards. * Shoulder Strap with adjustable steel hardware. 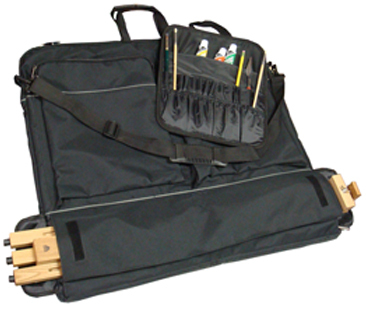 * Two Thru slots for rolls, easel, T-square, etc. in waterproof fabric. * Actual art materials and tool/paint card NOT included. 26" x 19" x 4"